There are 12 new graduate theses that we want to present in this issue. Among them, 5 are undergraduate degrees, 1 is an old-order four-year degree, 5 are specializations and 1 is a doctorate thesis. The areas of study are various as always, including even sociology and languages among the predominantly economic and business-economy related fields. In particular, a few of the theses concentrated on analyses of bookkeeping in EoC businesses, with the daring intention of reading between the lines of the profit and loss accounts. A few theses concentrated on the importance of relationships in the EoC experience, on the humanization of economy and on the realization of the person who accomplishes real experiences of humanizing business activity. And finally, there are some interesting analyses - done through questionnaires given to the businesses - of the coherence between Mission and Governance in EoC businesses, a study of EoC businesses in times of crisis and the analysis of a nexus between theoretical suppositions of Civil Economy and practical realization of EoC businesses. This thesis faces the problem of poverty, describes the way in which different economic models have tried to overcome it and underlines the proposal regarding the new paradigm of the EoC. The EoC results as being a sustainable model to fight against poverty. In fact, differently than other models, the distribution of wealth has a fundamental characteristic: the poor becomes protagonist of the project and is encouraged to get out of his own poverty, going towards a more sustainable future. The true challenge is centering this objective with respect to the dignity and the integrity of every person. The study analyzes the relationships between persons that play different functions in the hierarchical pyramid in two EoC businesses located in the state of Sao Paulo, starting from the perspective of international studies of social linguistics. It deals with one qualitative-interpretive study carried out in an ethnographic perspective of participative observations. The study shows that the two businesses analyzed have similar and distinguishing characteristics that facilitate the process of openness in the interaction between superior and subordinate, allowing those who are hierarchically subordinate to influence the decisions that contend to superior officials. Does the EoC experience allow for reconciliation between ethics and the economy? This is the interrogative at the basis of this thesis. The analysis of this project shows that it is possible to overcome the "dichotomizing" logic between the moment of production of wealth and the moment of distribution of the same, all the while remaining competitive on the market. In fact, the EoC allows the joining of a business's logic and culture with solidarity. Plus, the EoC permits the living of economic activity as a way to search for significances and meanings, where values play a crucial role, transforming economic life into a place of human and spiritual growth. This piece of work is oriented towards a deepening of the EoC project and, particularly, its philosophy, through a revisitation of fundamental economics concepts questioned by the project, and it makes particular reference to the topic of development. It was carried out through a comparative review from various perspectives: through literature, philosophy, economy and that specifically linked to the EoC. In addition, it includes interviews done with entrepreneurs and collaborators of five EoC businesses in Brazil. What is the relationship between the religious and civil sphere in the EoC? In what way can the EoC impact a functionally differentiated society? These are the questions posed by this thesis. Regarding the future of the EoC, there are three possible scenarios: the EoC remains an economic subsystem, without general transformations in the economy; the innovations arisen within it go beyond its frontiers, both in the social system and in the conscience; and, finally, the dissolution of the EoC due to loss of ties with the Focolare Movement. This last possibility is considered as improbable, as the Focolare Movement and the EoC are considered interpenetrating systems, tightly bound in a relationship that produces constant reinforcement of generalized means of communication on the symbolic level. This thesis analyzes the procedures of traditional and integrative cost reporting of some businesses that adhere to the EoC project. The principle issues dealt with in the thesis are the concepts tightly inherent to the EoC through an analysis of its origins, goals, and guidelines for running an EoC business and of the experience of the industrial parks. Then, there is an analysis of cost reporting activities in conformity to the Civil Code and to accounting Principles. This step concluded with an analysis of the business evaluation according to the RainbowScore method. Finally, it considers the budgets closing on 31/12/2008 of two businesses. Fondiaria SAI of Ornella Seca, in Lanciano (Chieti, Italy), is examined not only as a business but also in the affinity among members of the Fondiaria SAI Group and the EoC. The E di C S.p.A., in Incisa Valdarno (Florence, Italy), a society that runs the Polo Lionello Bonfanti, is also studied. The two business case-studies confirm the considerations made in the preceding chapters. Thesis: Budget Analysis applied to businesses in the "Economy of Communion"
The goal of this thesis was to define the model of economic behavior of the businesses that adhere to the EoC project and understand how for-profit businesses can put the "culture of giving" into practice. After having synthesized the origins and the development of the EoC, it concentrates on a case study: that of Ridix SpA. In light of the results of the analysis and the general literature on the topic, it can be concluded that the EoC is an economic reality informed by a lifestyle oriented towards sharing of needs among different persons, peoples and cultures. Through this lifestyle, even for-profit businesses can live according to the teachings of solidarity and communion. Starting from the concept of Human Development and studies conducted thanks to Amartya Sen, the thesis aims at understanding with which approach the Economy of Communion experience faces human development, giving particular attention to its anthropological and cultural ethical presuppositions. The EoC experience is then presented, tracing back through the initial idea, developments, the cultural humus and the anthropological vision centered on man in relationship. The testimonies of various EoC actors are placed in particular relief, in an attempt to restore real and concrete visions of this economic and human experience. Thesis: “Systems of gift-reciprocity and models of happiness. The Economy of Communion in freedom and its proposal of human fulfillment"
This research is done within a wide debate on happiness and development, in the attempt to single out economic phenomenon attentive to the more ample and complete fulfillment of persons. The hypotheses guiding the research with the specific aim of studying the EoC were: Can a system of gift-reciprocity be one of these phenomenon of ample and complete human fulfillment? As the research highlighted that one of the more delicate points of the EoC is the distribution of businesses'profits to the poor carried out by the EoC Commissions, the research concluded with the elaboration of a proposal of interventions to reinforce this aspect. This work tried to quantitatively and qualitatively define the degree of correlation between the Mission objectives and the instruments of Governance used by EoC businesses in Italy. The research highlighted a prevalence of small entrepreneurial realities pushed by a strong entrepreneurial charge based on strong values and, on the majority, shared by those persons who are part of the business. 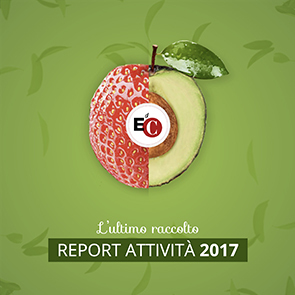 The project stimulates a redefinition of "healthy" and "ethically oriented" business management, but it is necessary to give EoC businesses the opportunity to show their true nature, valuing the efforts with public recognitions, with the goal of placing them as true and concrete entrepreneurial models to all other economic realities. This work foresaw the objective of studying businesses during times of crisis, with a particular reference to EoC businesses. While many businesses are failing, the main factor that allows EoC businesses to get out of the crisis is the way in which they face them - not as individuals or as single business entities but as a body. This body is the fruit of years and relationships cultivated, even at the loss of profit. In this way, it was possible to ascertain that building a healthy environment within a business is an investment on the future. The EoC is an economic activity carried out by subjects that choose to base their behavior on principles other than pure profit, without giving up the production of economic values. Thesis: The Challenges Overcome by Civil Economy: For-Profit Businesses of the Economy of Communion, Real Experiences of Humanizing Economy Activity. The Case-study of the E. di C. Spa at the Polo Lionello. This thesis was an attempt to analyze the nexus between the theoretical approach, typical of the perspective of civil economy and the practical solutions implemented by the businesses of the EoC. The experience of the EoC project is a visible sign of the possibility to join economic activity, efficiency and profit with activity that is civil, of solidarity, and ethically oriented. In this sense, the EoC project represents a victory with respect to the challenge launched by civil economy. A possible critique that could be made is that the EoC experience is limited in reach, destined to remain an experience of few, lived, among other things, within the confines of industrial parks spread in a few areas of the world. Its feasibility and sustainability therefore become relevant, and they allow us to consider the EoC as an interesting and valid comparison.